First-time visitors and came by recommendation. Got parked across the road which was a real bonus as it was freezing outside. When we walked in we were made to feel at home and were promptly seated with a drink in our hand. Never felt rushed and the staff were very attentive when needed. When the food arrived it didn’t disappoint, my steak was cooked perfectly (medium rare) and tasted fantastic. Desert menu was good and the overall bill was pleasantly lower than we were thinking. Will definitely be returning and recommending. Friendly atmosphere, nice food, would definitely recommend. Nice ambience and excellent food. Booking online didn't work well. Earliest time for table reported as 7:00 pm and didn't get confirmation of booking for more than an hour. In the meantime, I rang Soulville direct and discovered that bookings were available from 5:00 pm. Will ring the restaurant directly in future. We both had T bone which wasn't quite the best we've ever had, but were very close. The desserts were amazing. The staff friendly and attentive. The service was brilliant even with a party on upstairs and the downstairs packed. Definitely the best steak in Chesterfield! The service was okay but I had to send two things back as they weren't what I had ordered, we seemed to wait a while to be served also but it was a busy Saturday evening. Our table was in line with the front door and found that people were coming and going through it and then leaving it open so we were really cold at times, my daughter got up and closed it a couple of times. The food was good, I had a combo which was cajun tuna and cajun chicken, I really enjoyed it. Had a great time, very accommodating. very friendly, great service, definitely book again. The meal at soulville steak house was faultless. The service was impeccable. Excellent all round. The meal was lovely, great! Steaks all cooked as reqiested. Prawn cocktail had paprika on making it slightly spiced this should be made aware same as sweet potato fries, one of the group has chrons so had to switch. Also when booked we were emailed to state 20% off however this was not included on the bill for any of the party? Excellent food, was a great atmosphere and the lady who served us was lovely, and very attentive! Nice food service etc just a little-disappointed menu not altered at all. Food was really good and excellent value for money. Food was fantastic and plentiful. Service was good too. Bar service was a little slow but staff were busy. Decor needs a refresh but it's ok. Thoroughly recommend a visit. This is the best steakhouse for miles the staff are always attentive and nothing is to much trouble, and the chef cooks the most mouth-watering steaks imaginable. Would recommend this restaurant to everyone. The meal was arranged for my daughter's 18th birthday. We all had an amazing time. All meals were delicious and the prices very reasonable. They also let us decorate the table balloons and banners. Will definitely be going back again. As usual an excellent meal great service. We had a lovely night. Lovely food friendly staff , really enjoyed it. We had steak and it was cooked to perfection and the peppercorn sauce was lovely great service too. Fantastic quick service. Great value for money. The meal was delicious. We didn’t feel rushed at all, great music, helpful staff and the atmosphere was good. Would thoroughly recommend giving it a try. We had a wonderful evening all 19 of us, delicious food, great service and really nice surroundings. Great prices for the quality and amount of food you get, succulent steak and the key lime pie is mouth watering. Definitely going there again! What a great dining experience. From the minute we walked in we were looked after. The food was excellent and great value. We will definitely be going again. Very friendly staff, who came and took our drink and food orders quickly, we didn't have to wait too long for the food either. A great selection if meals in the menu and everything we had was delicious! We will definitely go back again! Lovely meal great service !! Very very nice feel stuffed should have gone for 8oz and not 12oz very good portions! Food was delicious the service was very good lovely atmosphere, unfortunately, the state of the toilets let it down badly. Absolutely brilliant, defiantly will go back great staff and one of the best tasting steaks I've had in a long time. GREAT FOOD GREAT ATMOSPHERE GREAT SERVICE! Food absolutely gorgeous - my favourite place to eat!! We have dined a few times at the Soulville it’s our place to go for family birthdays, will be back again soon. 5* for food and staff. The entire meal was brilliant. Our friend decided to do what most men on a cheat day do... add ALL the meat to his already meaty plate. He had a 18oz mixed grill with half a rack of ribs on top. He managed to eat EVERYTHING on his plate included the most incredible chips, mushrooms, onion ring and grilled tomato and salad leaves. My husband and our other friend had a mixed grill and finished it off with a toffee crunch pie that looked (and sounded) amaaaazing. My steak was cooked perfectly and the Cajun chicken was lovely! Well done the team at Soulville, definitely a busy night and you managed it brilliantly. Staff really friendly and helpful and having not been to Soulville for a couple of years my mum and I really enjoyed it all. Great service and atmosphere had a fab night. Food was nice and well presented. Loved the soul music theme. Very popular venue in chesterfield and look forward to visiting again. Highly recommend the mushroom pepper pot starter. The food was nice and we all enjoyed our meals. The staff were friendly but the food took some time to come out, especially with how empty it was. The ambience has a 3 as the restaurant is nice and clean but was very cold as there was no heating downstairs other than a couple of electric radiators plugged in. As it was in the cold snap this wasn't really enough. Couldn't fault the staff, service or the food, had a great night thoroughly enjoyed it would recommend the soul villeins steakhouse to anyone. All ok but not much taste to steak and had G n T and they charged separate for tonic which made it a lot for the drink. The seven meals were well prepared and all of us enjoyed our food which was served efficiently and with a smile o the staffs faces. Lovely experience! This dining experience was awesome and would recommend this to friends and family, we have also booked for Valentine Day. Staff and food excellent. Easy to book, fantastic service nothing was to much trouble. Food was delicious and grate place to eat - highly recommend. The steak was beautiful but the chips were hard and not pleasant. The music was a little too loud for comfortable conversation. Excellent food, although the restaurant was cold as the heating had been turned off after lunch service. The food and service was excellent. The staff friendly and helpful and I look forward to returning there. Lovely meal. Couldn't fault any of it! Also really friendly service, and nice not to be overly pestered by staff. Overall a great meal. It was superb as always, cannot wait to go back again. Food and service is always excellent. Good steak cooked as requested. Reasonable price, can't really ask for more. Presentation and how meal was cooked was amazing. Thoroughly enjoyed it! Expensive but the fillet steaks are divine! We were celebrating my daughters graduation and we all had a very enjoyable meal at the Soulville Steakhouse and certainly couldn't fault the service. All of the staff were attentive to us and although we had a misunderstanding with desserts the bill was rectified in our favour and they apologized for the misunderstanding. Very good evening! No complaints at all. Food was lovely, service was spot on! Food was excellent, steak cooked as requested, very tasty, excellent service and really friendly staff! Situated in the historic Falcon Yard on the corner of South Street, you will find the gem that is The Soulville Steakhouse. Believed to be housed in the original stables for the horse-drawn fire engines, that were situated next-door in what was the old Victorian fire station but has now been replaced by the County Library, the surroundings for The Soulville Steakhouse couldn’t hold more character. With the bare brick building and the large double wooden doors, the location could tell a thousand stories. The restaurants theming perfectly recreates the spirit of the Motown era and with genuine Wurlitzer Jukeboxes that are free to use, you can create the perfect soundtrack to your night. 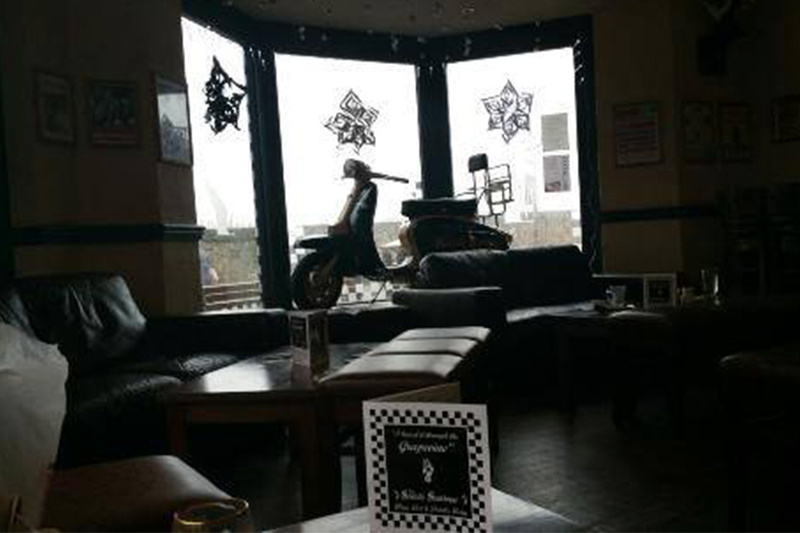 Even the walls of the restaurant are adorned with pictures and memorabilia and tables are named after a soul singer with their biography on the table for the ultimate immersive experience and who can miss the signature moped in the window! The menu at The Soulville Steakhouse is not one to be sniffed at, with steaks galore this is a meat-eaters paradise, just take a look at their 20oz T-Bone Steak! Their menu states that all steaks are guaranteed PRIME BRITISH BEEF and are hung for a minimum of 28 days to ensure tenderness and a richness of flavor with all steaks traceably sourced from Derbyshire or Angus cattle ‘Quality isn’t cheap – but we think you’re worth it!’ But The Soulville Steakhouse is not all about the steak, their house favourites comprise of burgers, chicken dishes, lamb dishes, fish dishes and vegetarian dishes and with pastas and salads making an appearance on the menu, you’re spoilt for choice! We love the sound of Creole Chicken: Traditional Louisiana fried chicken in a dark and spicy Creole batter, or why not stick to what you know with a classic Chicken & Bacon Carbonara. With all dishes home-cooked using fresh ingredients, it’s clear that they are committed to providing the best quality food. 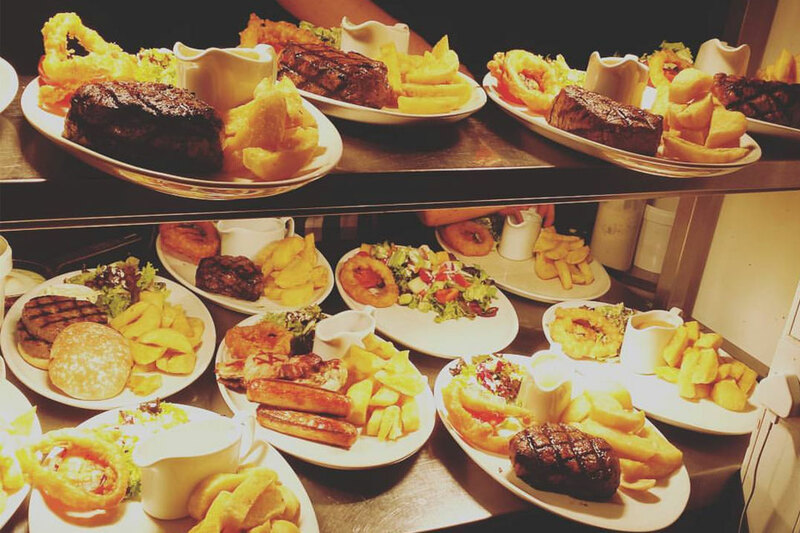 The Soulville Steakhouse also specialize in hosting large parties and groups of up to 50 people so why not enquire for the next birthday, leaving do, retirement party or even stag and hen do! They’re open every day of the year (except Christmas Day, Boxing Day and New Years Day) so get your party booked now! 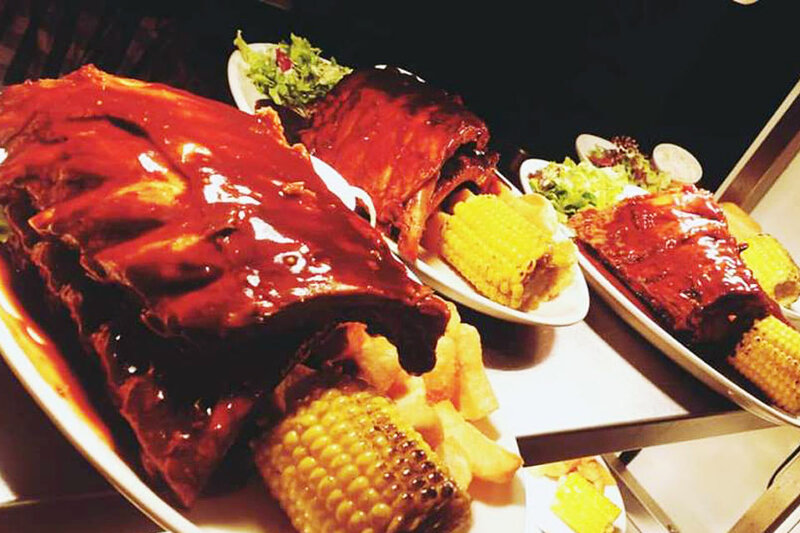 The restaurants strapline is simple ‘Finger Lickin’ Food – Finger Clickin’ Music’ and that is exactly what you get so if good food is your thing, you need to get yourself down to The Soulville Steakhouse! 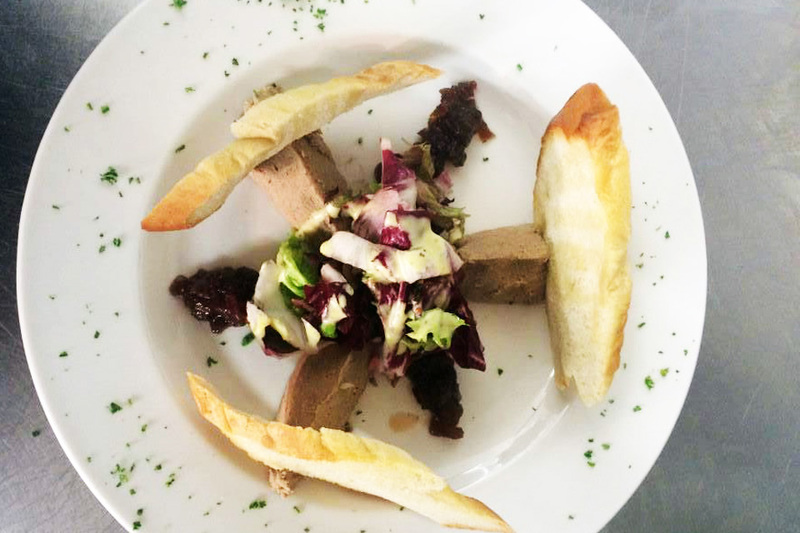 Our delicious range of starters are created and served from their own separate section by a dedicated starter chef and will be quickly delivered to the table whilst your main course is freshly prepared. 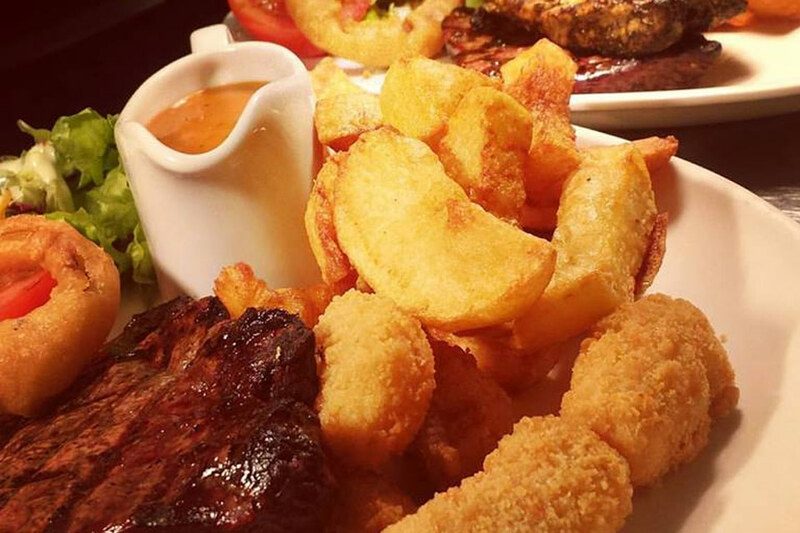 Something just a little different, all served with a pot of our crunchy homemade coleslaw and your choice of hand cut twice cooked chips, Cajun dusted Sweet potato fries or Spicy peppered rice. All pasta dishes are served with garlic ciabatta. All main courses (except those marked *) come with a garnish of dressed leaves, and either hand-cut twice cooked chunky chips or fresh creamed mashed potato. Red wine with smoked bacon & mushroom. Blue cheese with white wine, cream and garlic. 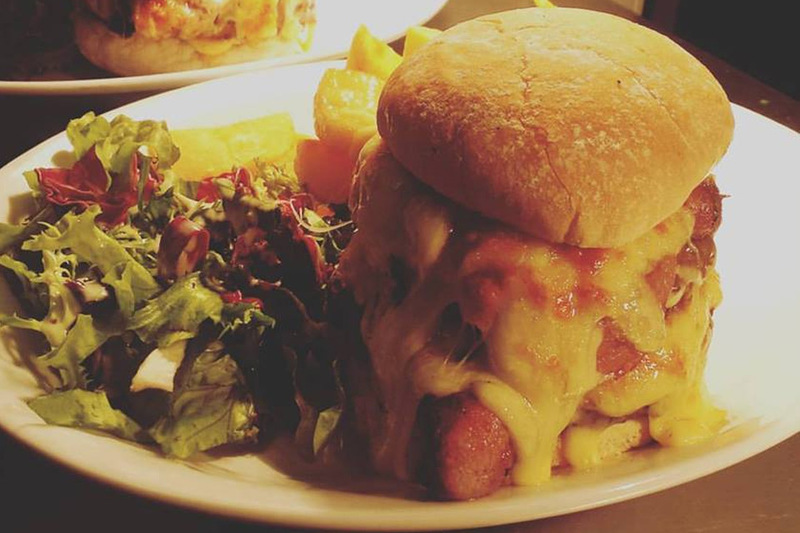 Top your chargrilled chicken breast with smoked back bacon and grilled cheddar served on our sweet & smoky BBQ sauce. Swap your veggie sausage & mash for vegetable lasagne al forno. Swap your dessert for an Ice cream sundae. Double up your cheeseburger and add smoked back bacon. Swap your 6oz rump steak for an 8oz rump steak and add your choice of house sauce. Swap your wholetail scampi for a grilled cajun tuna steak served with pineapple, red onion, corriander and mango salsa. Double up your half rack of babyback ribs to a full rack. add a half rack of ribs or portion of wholetail scampi to your 6oz rump steak. Served with dressed mixed leaf, cherry tomatoes and a pot of our delicious crunchy homemade coleslaw. Served with dressed mixed leaf and hand cut twice cooked chips.